The power of sprinkles indeed. I don't think I know a single person who doesn't smile or get excited when presented with something that is full of color and this book along with our author, Amirah Kassem, is full of color and fun! 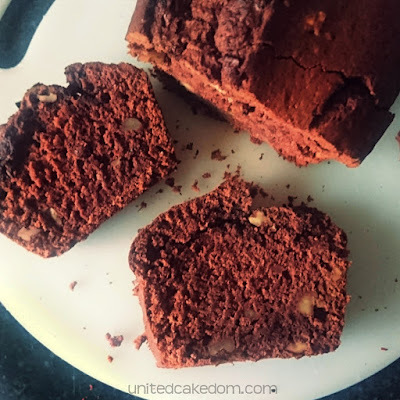 Amirah grew up in a home where her mom was always baking and creating and as she grew up she followed in her mother's footsteps baking for her close friends and family; presenting them with cakes that were suited just for them. She had a stint in the fashion world as the colors and textiles drew her in, but her love of baking never stopped. She continued to create cakes for the people around her and when they started asking where the cakes were bought from she decided to take a step in that direction, baking 6 layer cakes that were so beautiful you almost wouldn't want to eat them, in her very own bakery cleverly named Flour Shop in New York City. 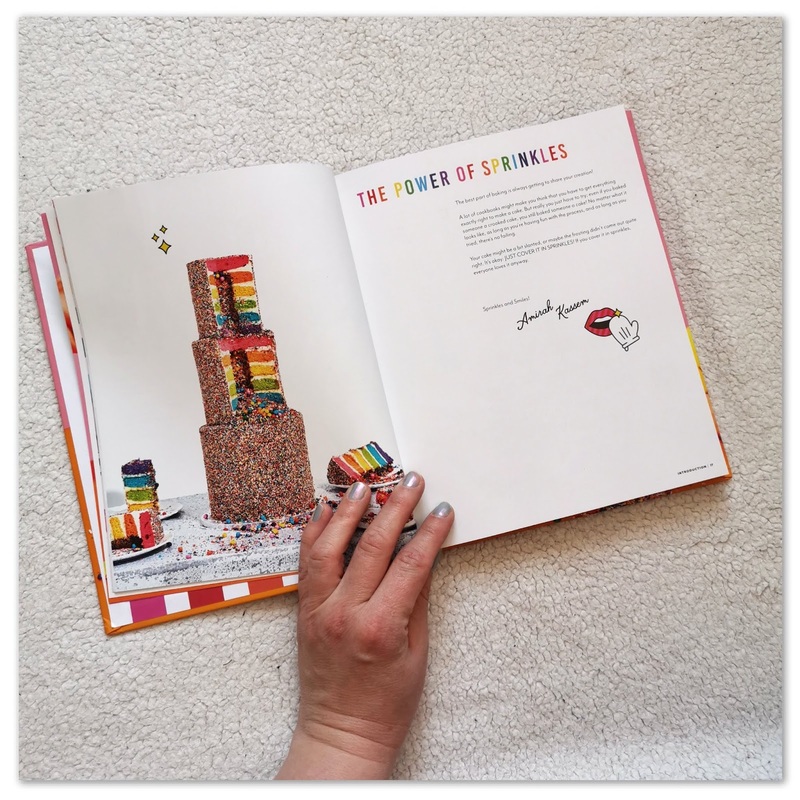 For those of us who don't live in New York and might not get an opportunity to visit her bakery, we have her book. The Power of Sprinkles. This book is visually stunning. 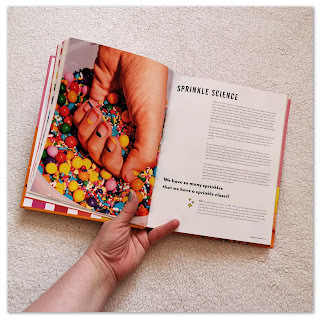 It's bright and colourful, but it is more then just eye candy... it's creative, clever, and thoughtful. We get a lovely insight into Amirah's life and she shares with us the most important cake in the book: The Rainbow Explosion Cake. It's the most important because it gives us all the techniques and tips and tricks we will need to create these amazing cakes. 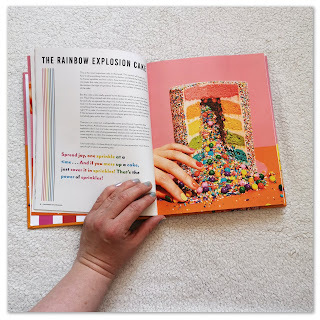 Those tips and tricks cover a vanilla cake recipe, magical frosting, tools and tips for frosting cakes, colors and dyes to use, sprinkle science, working with chocolate, and layering the cakes - everything you will need to create your own masterpieces. 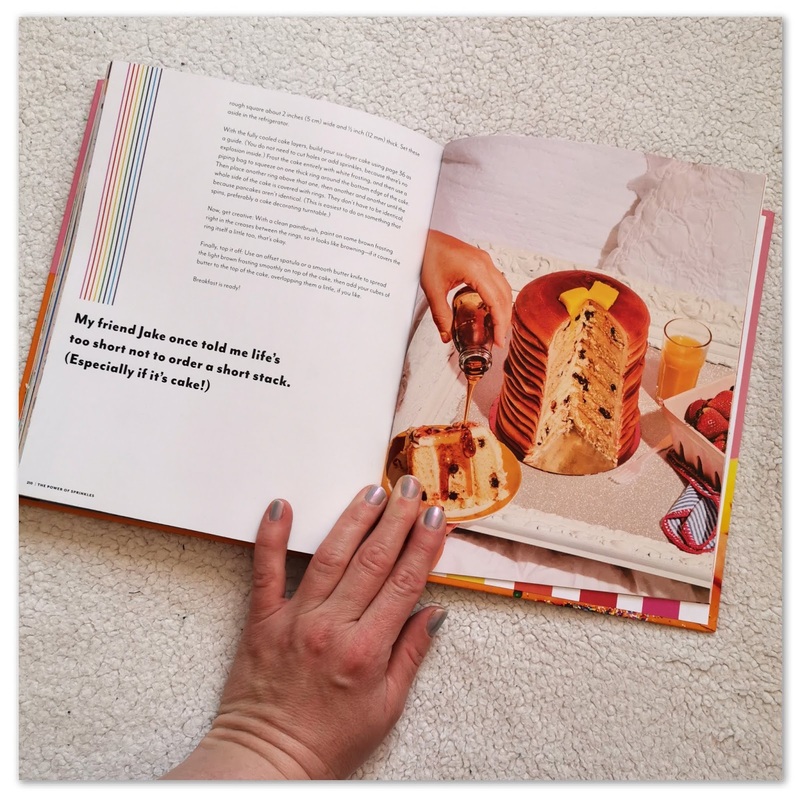 I myself am not much of a decorator and normally I would look at these pictures and feel a bit daunted, but her writing exudes a confidence that makes me feel I am capable of creating these cakes. Maybe a few of them require a bit more experience, but there are just as many that don't require as much experience and effort as you might think. If you are looking to expand your baking profile or need some inspiration as Amirah's story is definitely uplifting check this book out!! 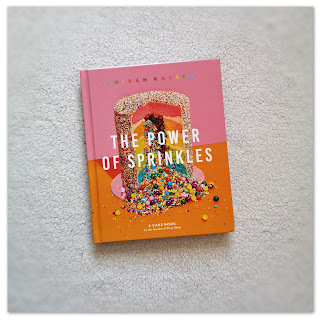 *I was provided a copy of The Power of Sprinkles: a cake book by Amirah Kassem to review by the publisher, abrams&chronicle books, retails at £17.99 and available now on Amazon! All opinions are my own, I was not given any other compensation nor was I asked to give a positive review, please see my contact/policy page for more information. 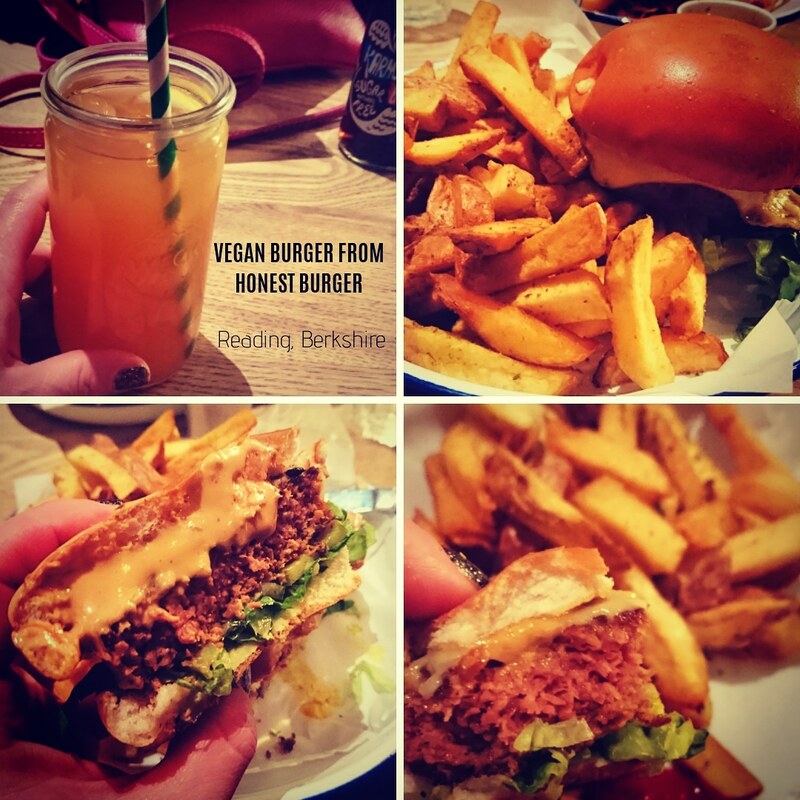 Honest Burgers hasn't been in Reading for very long, but it's one of the few places in town that I re-visit over and over again. The menu is basic, but I use that term in a good way not in the slang way it is used by the youth of today. Because I have found that the best places to eat are the ones that do a few things really well. 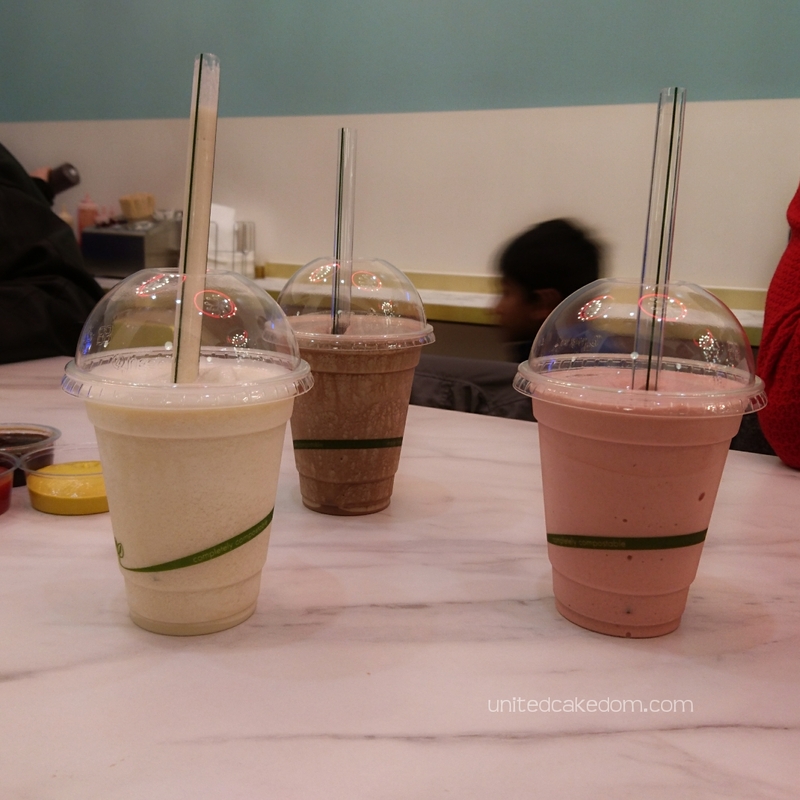 Saying that though the menu has something for everyone, vegetarians and vegans included. Every month they have a special burger that celebrates locally sourced ingredients and keeps the menu interesting. The other thing they do that helps keep things interesting is that each Honest Burgers has one burger that you can only get at that location. Each one of those burgers usually reflects the area of the location of the restaurant. And that is why I am writing today. 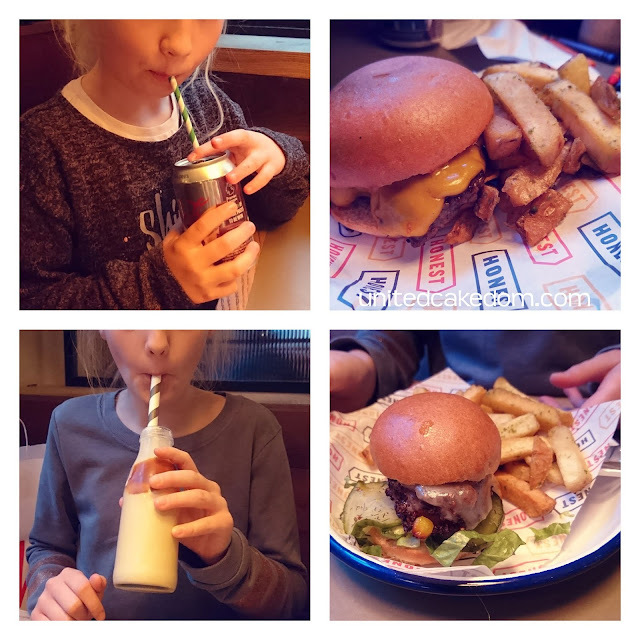 Reading's signature burger has changed. Yesterday I took my girls into town to see a movie and then to dinner at Honest Burgers where I tried this Jerk Chicken Burger. I gotta say it was one of the best chicken burgers I have tried in recent times. The chicken was perfectly cooked and the spices perfectly balanced, in my opinion it had just the right amount of heat. The burger was created by one of the team members in Reading. 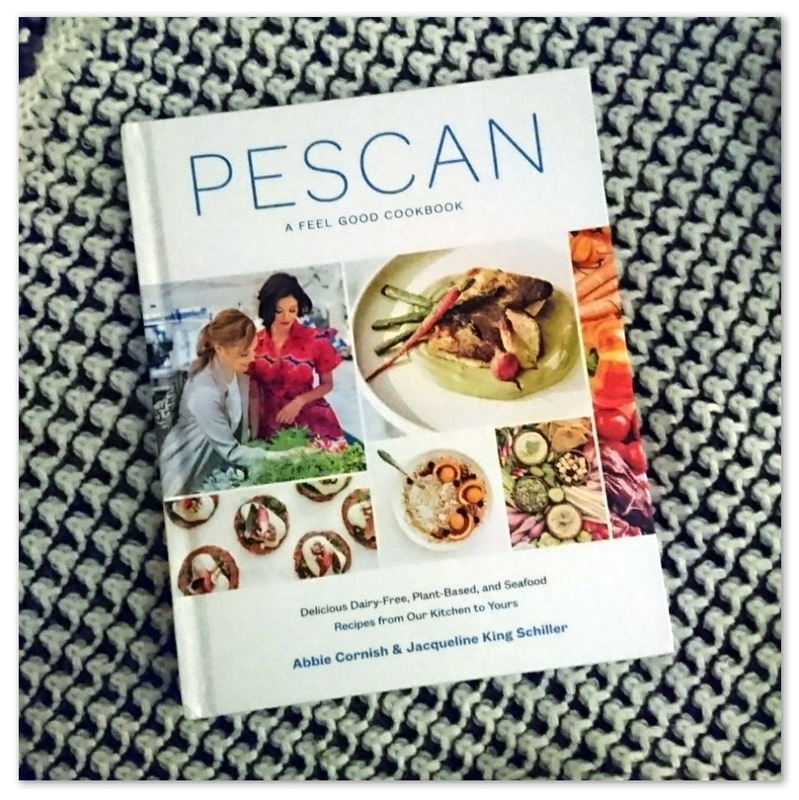 She worked as a prep chef and made her way up and is now an essential part of their management team. She came to to join the Reading team through a program called Working Chance; the UK's only recruitment consultancy for women leaving the criminal justice and care system. 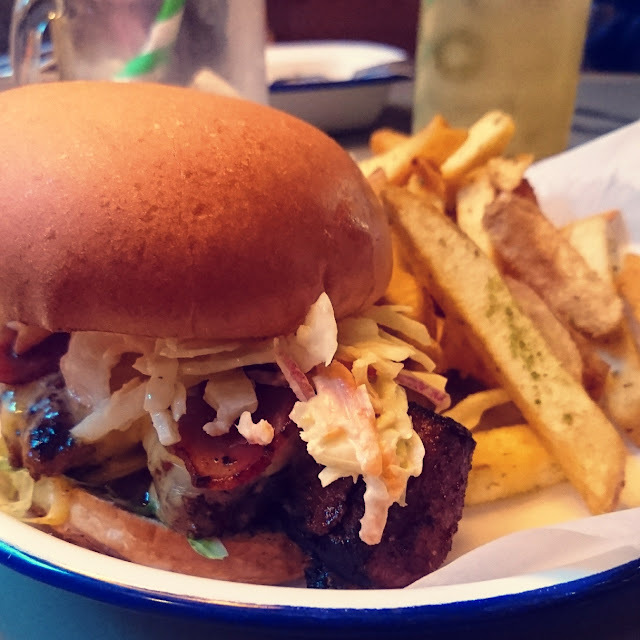 The Jerk burger uses her family's jerk rub and sauce and a portion of the sale of every burger sold goes to the charity Working Chance as a way to say thank you to them and to help them continue the amazing work they are doing. If this burger isn't enough for you to visit Honest Burger, I should mention their rosemary salted chips, they are the best and their cocktails are some of my favorite! But not only that as I mentioned above there is something for everyone including veggies and vegans. 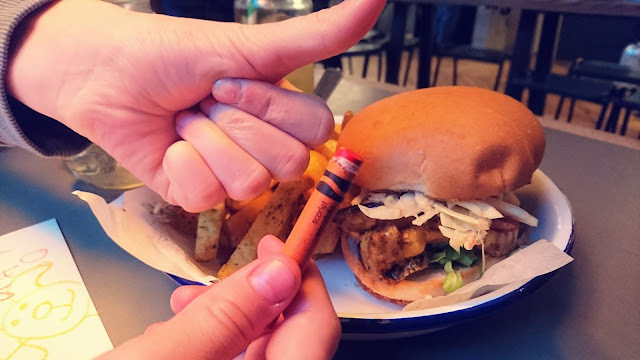 In January they launched their vegan burger, which uses a Beyond Meat patty and I tried it when I took part of Veganuary and I have to say I really enjoyed it - I wrote about it in my blog post Top 5 Vegan Recipes & Products and it's still available! It also has a kids menu that reflects kids tastes. The burgers are sliders and were the perfect size for little people. My eldest daughter loves pickles, like her mom does, and when ordering her veggie burger asked for lots of pickles. Their pickles are made there and so we were brought a bowl with some to try and we were fighting over them! Just another way that they show their dedication to great ingredients. 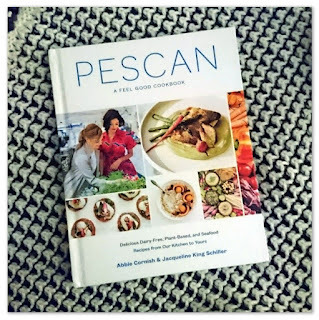 My original review post can be found here. * I was invited to visit Honest Burgers, I was not compensated in a monetary way for my review, all opinions are my own, please see my contact/policy page above for more information. When I first started blogging it was about baking and I titled my blog accordingly and all my social media channels were named accordingly. I only followed other baking accounts and joined in foodie group chats on social media. Which was great at the time. However, things change and people change and grow and it's hard to stay within a niche. It's hard to put limits on creativity and it's hard to stay within the boundaries of that niche, to live in a box. It's not hard I suppose if you don't grow or change. 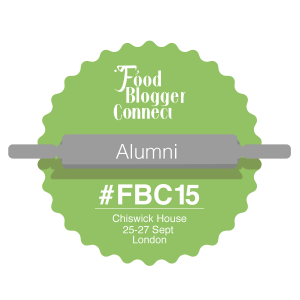 A few years back now I attended Food Blogger Connect and one of the workshops I attended was all about blogging, not about food just blogging and why we blogged. 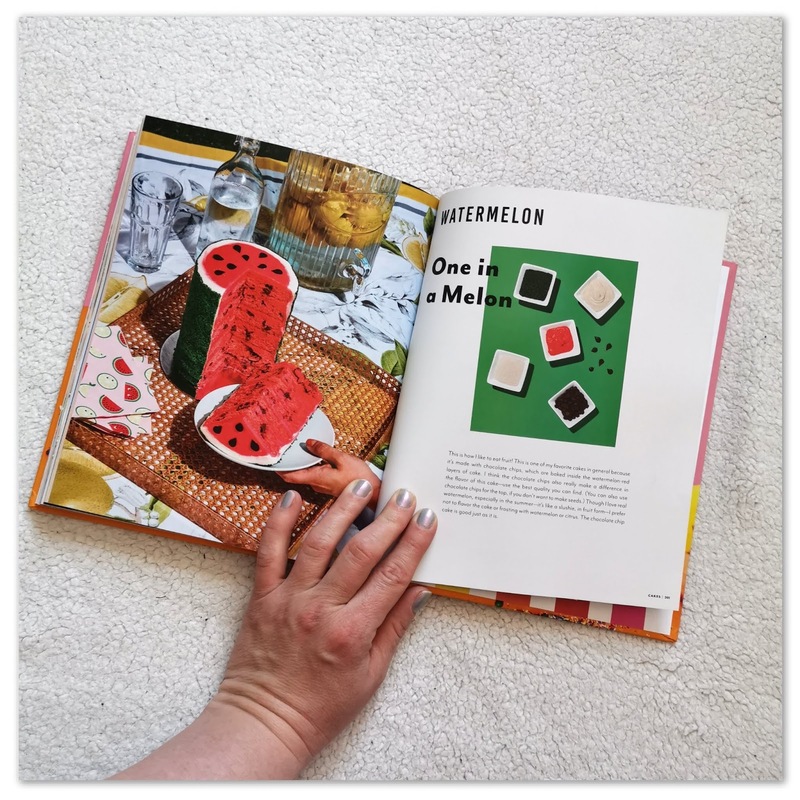 At the time it felt like there was a simple answer, I liked blogging because it was my little corner of the internet were I got to share something I was passionate about. A place were I could express myself and put words down where someone might actually read them. 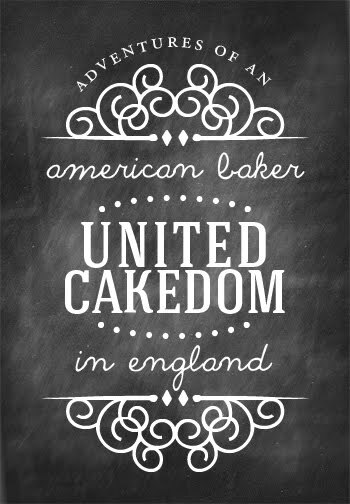 But within the confines of baking. When I posted anything besides a recipe or it got half the views of the ones that did. 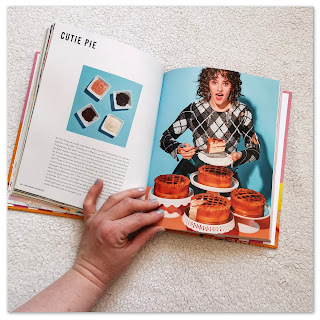 However, having had a few major things in my life change and my "passion" for baking ebbed my blog has pretty much gone on the wayside. 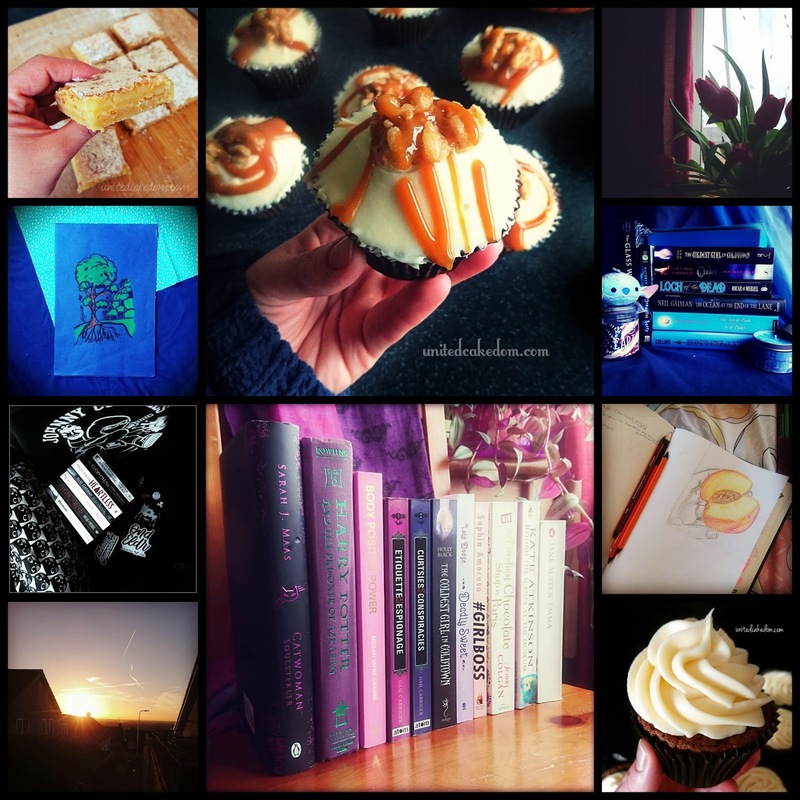 I spend most of my time now on Instagram and it's there that I now mostly share images of books and follow loads of book lovers and take part in daily photo challenges with prompts all to do with books. It's weird to remember that actually I started blogging not with this blog, but a book blog, one my sisters and I wrote together along with our cousin (pagesofthemind). We stopped blogging about books but, our love of books didn't go anywhere. We just stopped fitting into the niche of "book blogger." I still read as much as I was baking, but it wasn't always something I shared or talked about because I felt like I couldn't mix the two. 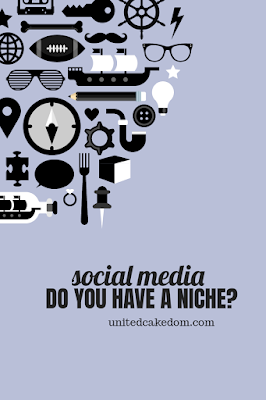 It's a little like that now on social media, if you don't have a niche or a theme for your page then you might as well forget it. Which is so hard as no single person is just one thing. We have many things that we are passionate about or that bring us joy. 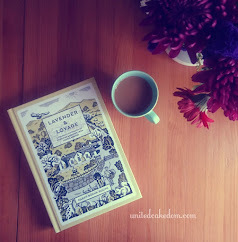 I love books and I love the bookish community I have found online. I also still enjoy baking, but as I have stated recently and more then once, I just don't bake like I used too. 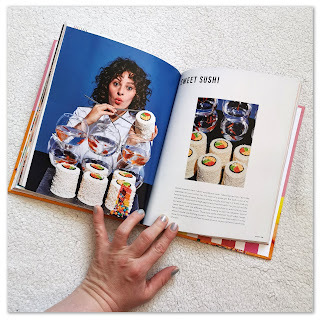 I still buy and devour cookbooks and that's the one thing I feel like I can share here because it fits in my niche of baking and food. If I couldn't tie in baking or cake or food I thought it would automatically be rejected. However, it's was pretty presumptuous of me to assume that I had enough regular readers to care. According to my analytics my bounce rate was high, people would pop into my blog via a link or google search for exactly what they were looking for and then leave again. Nothing keeps them here. And that's okay too. In today's world there is a lot of quick information and once that need is satisfied it goes again and it's not something I am immune too. It was just a topic I have been thinking about a lot lately. Does my blog have to be just one thing when I myself am not one thing? I am a mother, artist, expat, book lover, plant killer, and I love musical theatre. I am not just a baker and cookbook addict. Both of which I still love, but I don't love them more or less then the other things I enjoy. The last few years haven't been easy ones and I felt like I no longer had anything to say. This post was relevantly easy to write harder to decide if I would share it or not. 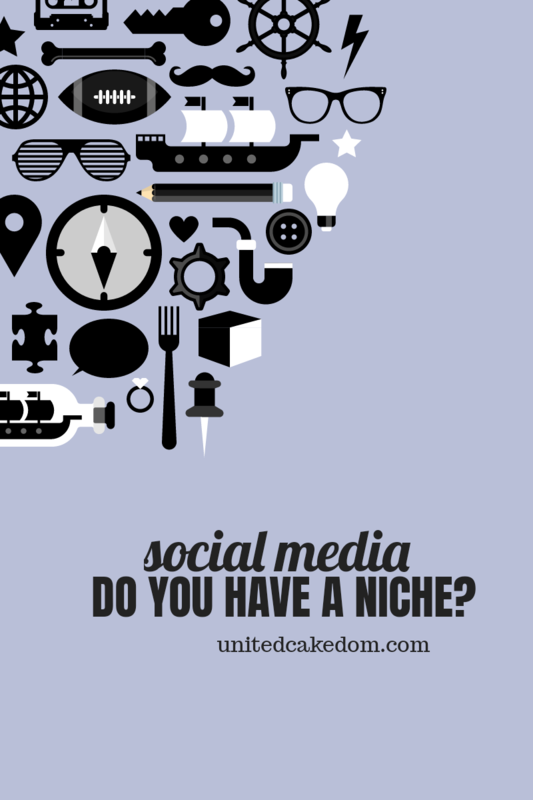 Point of all my ramblings is that the idea of having a "niche" is restricting, but to be honest it helped when I was starting out. It's just now I don't know where to go or how to change the blog and that's not easy. 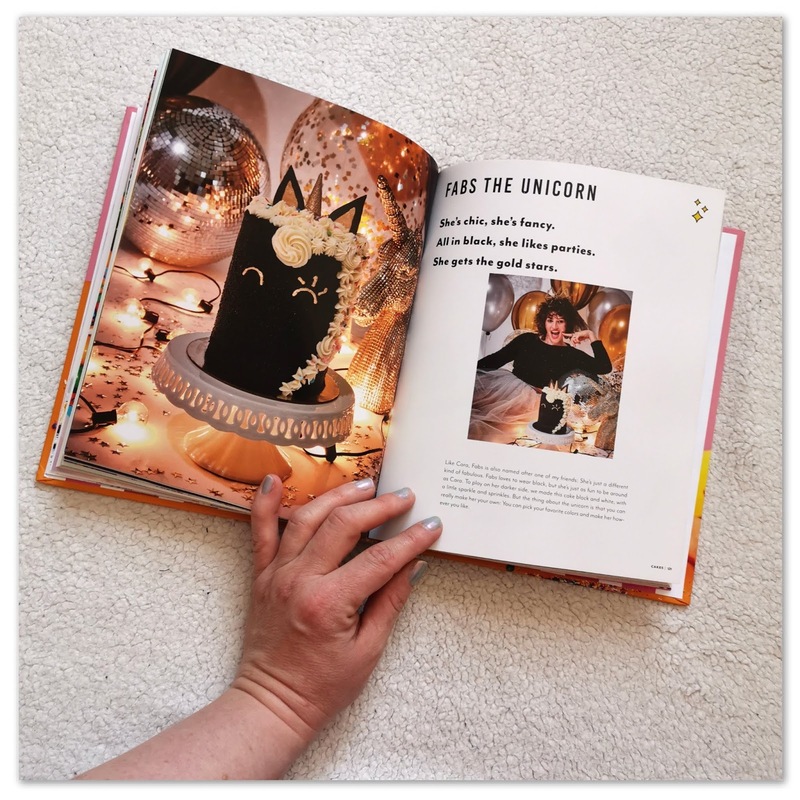 It's hard not to wonder where my blog would be if I hadn't put myself in a box? 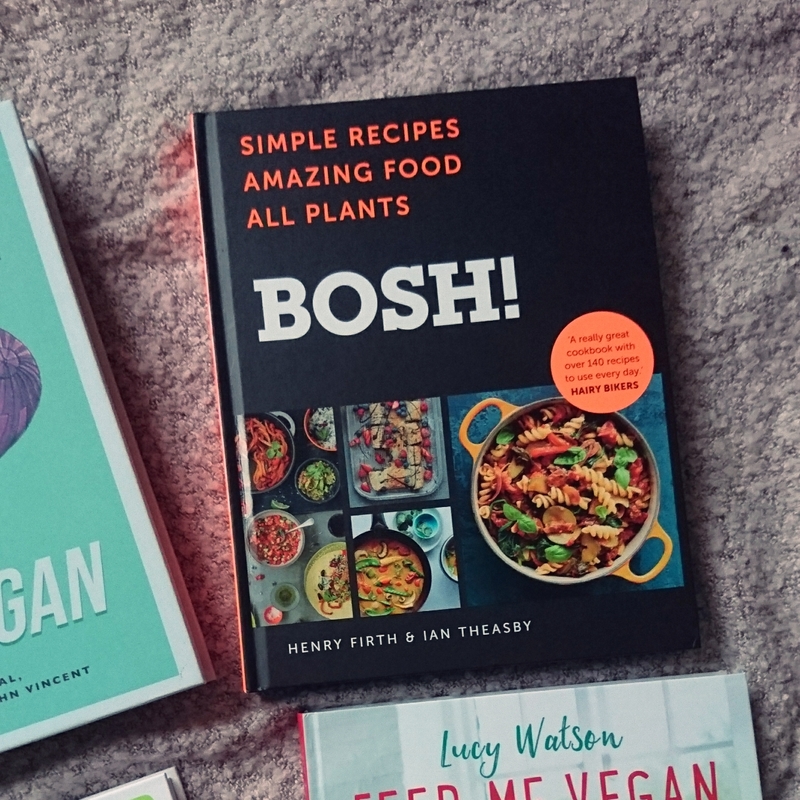 Veganuary may be over, but there are a few recipes and products I have added to my weekly shop or recipes I have added to my repertoire also one place I will visit again for their vegan menu. 1. 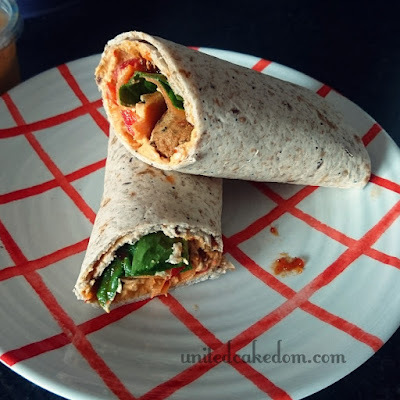 Falafels & Hummus wraps: I was making this recipe for years before I decided to try being vegan and it is still a go to lunch option. 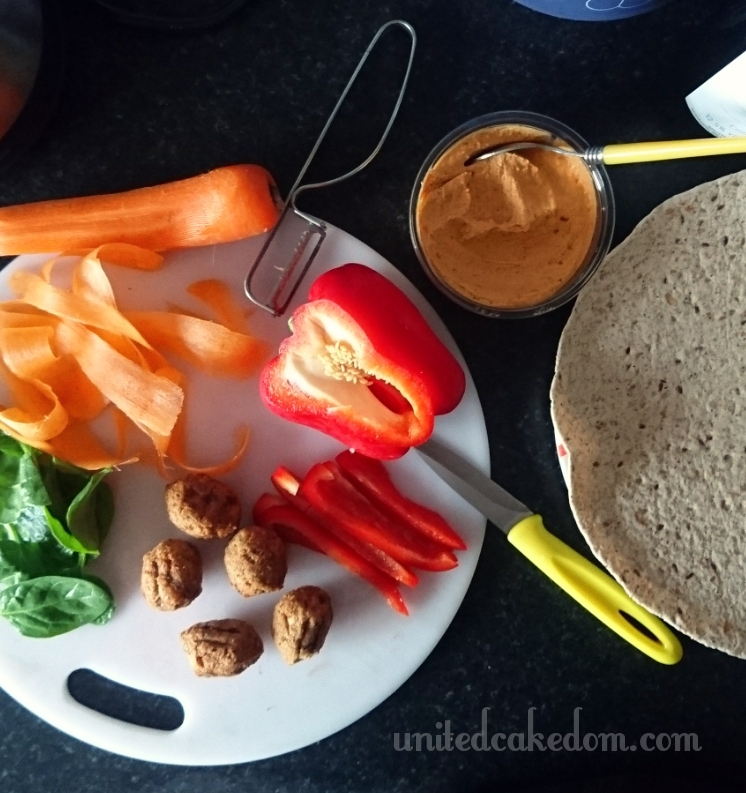 Falafels with hummus and spinach, shredded carrots, and either mint sauce or sweet chilli depending on the falafels. 2. Vegan burger from Honest Burgers - are made with Beyond Burger patties, they are the first restaurant in the UK to have these vegan burgers and let me tell you they are good!! I know it might be a bit weird to go to a burger place to get a vegan burger, but the rosemary salted chips are the best so it's always a win-win! 3. 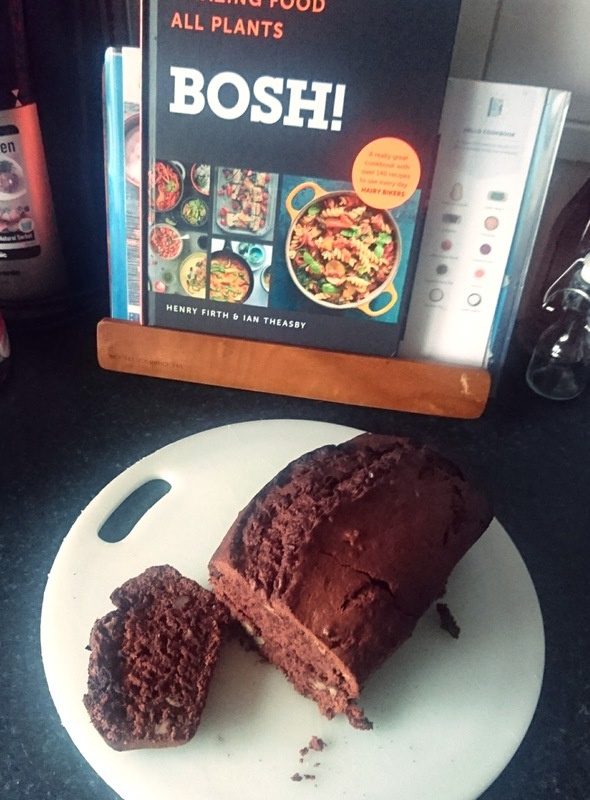 Banana bread recipe from bosh! - I have written a separate post for this so check it out here! 4. 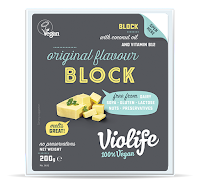 Violife original flavour block: vegan cheese - Cheese was my biggest fear, I was afraid how it would taste and worried about the texture . 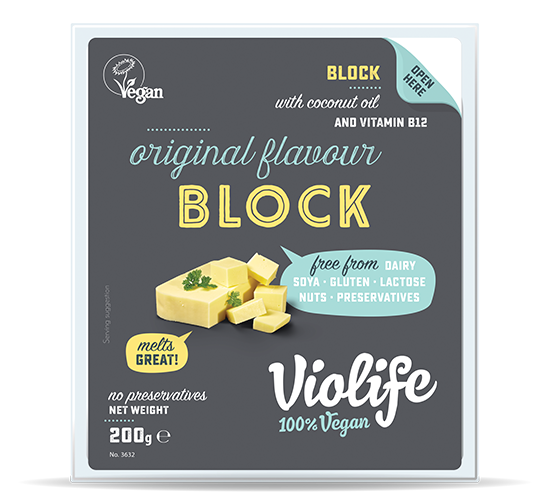 Cheese how can vegan cheese hold up against regular cheese? But this one did and I am still using it for recipes and sandwiches. 5. tofu with spicy peanut sauce - this recipe I actually made in February but it was so good even my children liked this one and both ate it right up! 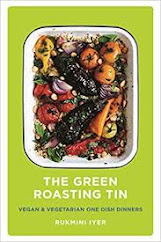 Best part is that it goes in the slow cooker and can be left to it's own devices as you sort the rest of your life out. Cut the tofu into thin squares or rectangles or whatever shapes you want and pat dry to remove any excess moisture before frying in a pan over a medium-high heat flipping until browned on both sides. 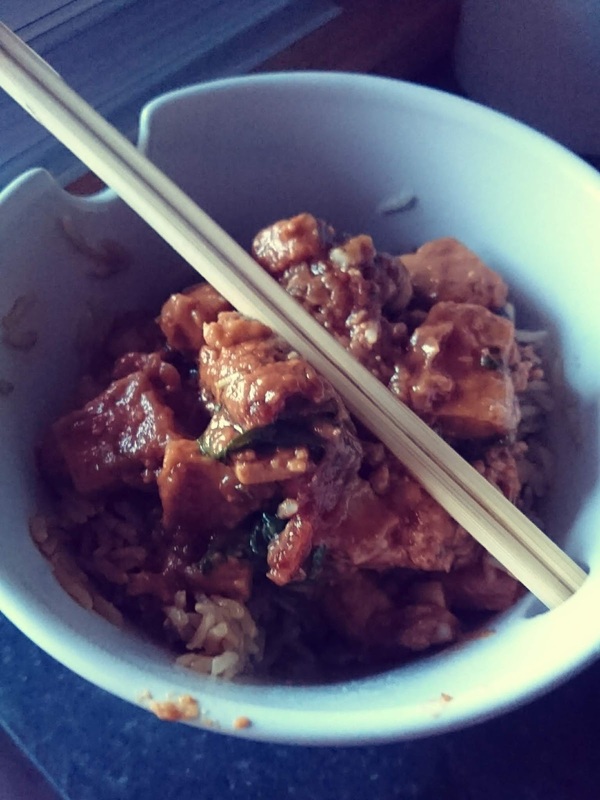 While the tofu is doing its thing mix everything except the spinach and coriander in the slow cooker and when the tofu is ready mix it all together and leave on low from 2-4 hours depending on your slow cooker. 15 minutes before serving add the spinach and cook the rice, if using 10 minute rice, and serve with rice and coriander as a garnish. *note I only used one chilli as my kids don't like it too spicy, but if you like it spicy use another one! There were so many other things I tried and tested in my month of being vegan a few honourable mentions are the Goodfella's Vegan Pizza found in the frozen section and also found in the frozen section Ben and Jerry's vegan ice cream and last but not least the Heck vegan sausages. 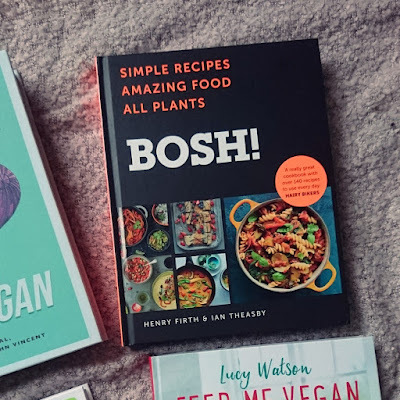 Being vegan was definitely an experience and it has taught me a lot and as already stated changed a lot in how I do my food shopping and cook! The best part of being vegan was this banana bread. I am just sayin'. It's not the first time I have baked vegan, but it was always with varying results this loaf turned out great and I ate it for days and now make it whenever I have any old bananas lurking around. The recipe is really simple and easy to make. 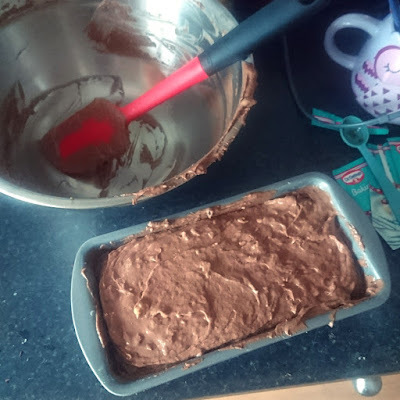 It's literally just throw everything into a bowl and mix it together and then throw it in the tin and bake! 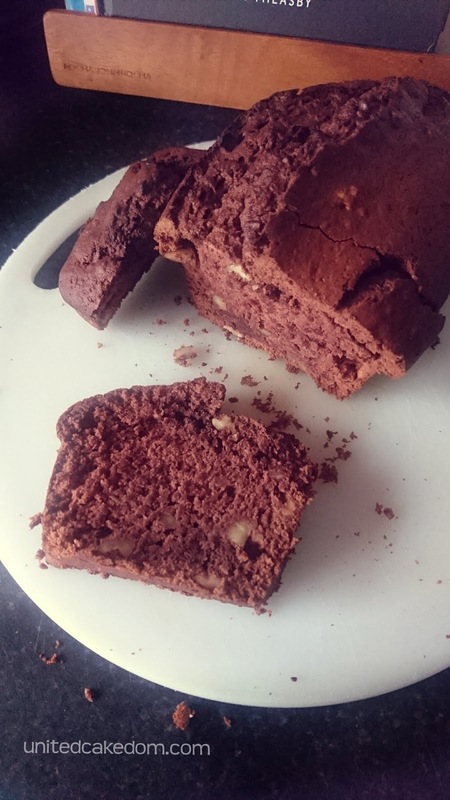 Finding a recipe as simple as this, but tastes just as great is always a winner and the added bonus as that no animals were harmed in the making of this baked good! 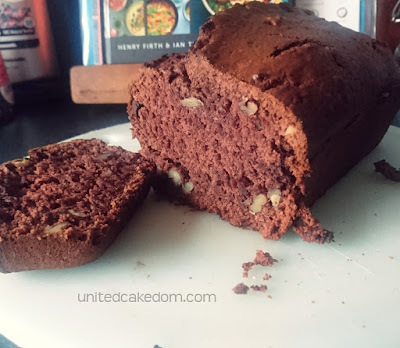 If you are looking for a great baking vegan recipe to test the waters I recommend starting with this one! Preheat oven to 170C fan (190C/gas 5) and line a 1kg loaf tin with parchment paper. Pour all the ingredients except the dark chocolate and pecans into a food processor or free standing mixer and beat them to a thick mixture. 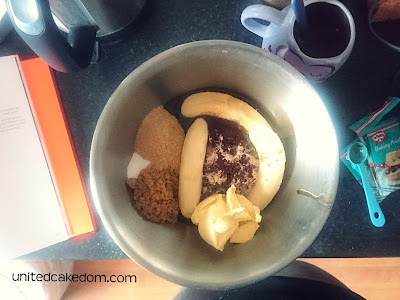 Scrape any excess mixture back into the bowl. Break the dark chocolate and pecans or walnuts into small pieces and tip them into the bowl. Fold until just combined. Pour the mixture into the lined loaf tin and put it in the oven. Bake for 60-65 minutes, or until a skewer inserted at the middle of the loaf comes out clean. Take the tin out of the oven and leave the bread to cool to room temperature. Remove the loaf from the tin and cut it into slices to serve. 1. using or containing no animal products. Everyone wanted to know how I was getting on and would say things either like "Bacon, don't you miss bacon?" or in a sympathetic tone "Oh yeah, I forgot you can't have meat." It was really hard explaining to people that I didn't miss bacon or any meat to be fair. It was literally only a week ago that I had meat again for the first time since December. Saying that it's clear I did not continue being vegan, not because I didn't enjoy it because I did and I found it fairly easy. It's just that restricting your diet so much is hard. There are things in life that if you feel really strongly about it if it is hard you still do it because it's something you want or believe in. I don't feel strongly enough about being vegan to continue to do so. But that doesn't mean I didn't learn something and that I haven't changed my ways even if it isn't as strict as a full on vegan diet. Because I haven't cut meat out completely I don't nor will I ever try to label myself as a vegan. I can label myself as more aware and conscious of the choices I make around where my food comes from. 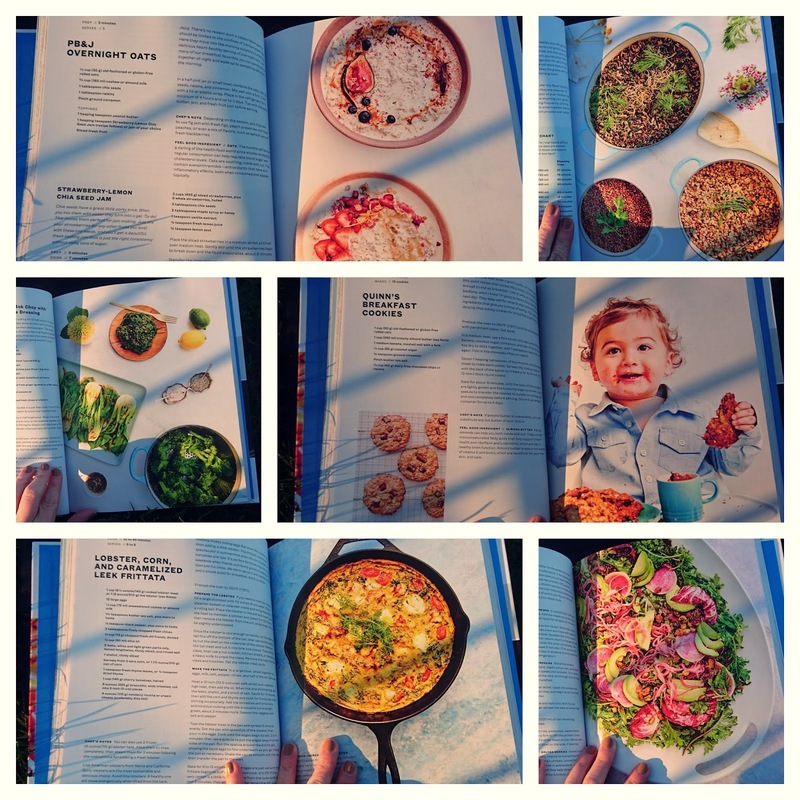 Even though I didn't stay vegan it did remind me how much I love exploring food and experimenting in the kitchen; as I mentioned in my list above. Recently cooking and meal planning had become a real chore and my weekly meals had started to become repetitive and boring. 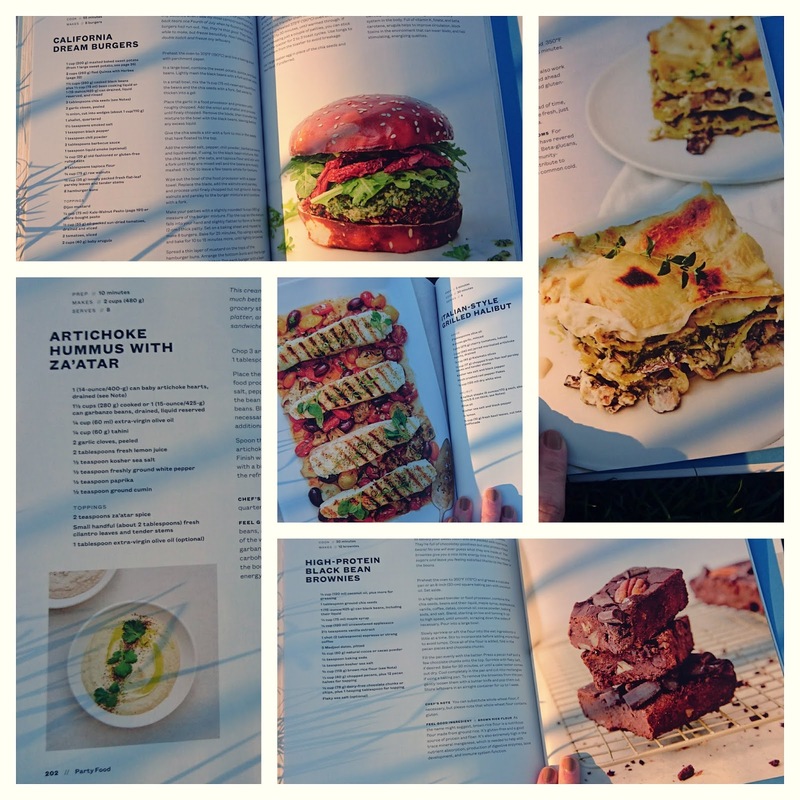 A few of the recipes I tried have become family favourites. *I used the Bosh! cookbook most, if you want to learn a bit more about that then check out my blog post on the cookbooks I picked up and used! Overall Veganuary was a success, I was proud of myself that I made it through the month without ever being tempted by meat or milk products. And learning enough to defend my choices against everyone who wanted to question me and give me crap about it. If you want more information I would recommend visiting the veganuary official website as they were my go to any time I had questions!